There are an increasing number of Enduro, All Mountain or Super D riders worldwide, specific disciplines that require dedicated equipment. The helmet is one of these. We created the Archi Enduro by following the ideas and feelings of some of the best Enduro riders of the planet like Mark Weir, Florian Nicolaï, Alexandre Cure, Jesse Melaned, Fabien Barel, Joe Barnes. 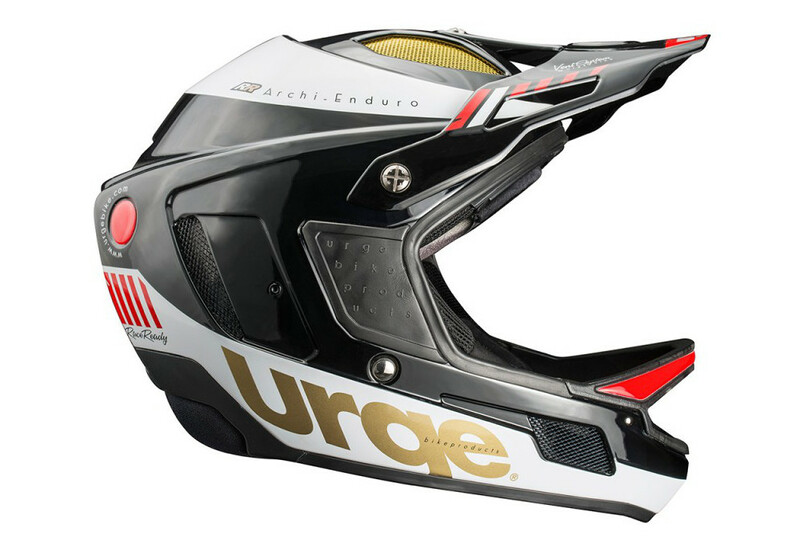 The Archi Enduro offers the same protection as our DH helmet, the Down O matic. But the Archi also offers an optimal level of comfort thanks to its reduced weight, high breathability and shorter back, allowing the rider to comfortably wear a backpack. The Archi Enduro is revolution in itself: it is simply the first and the only Enduro-race helmet available on the market. Not only it is a unique helmet, it is now also available in the Veggie version, made from natural linen fiber.